This gorgeous boy is Bear. 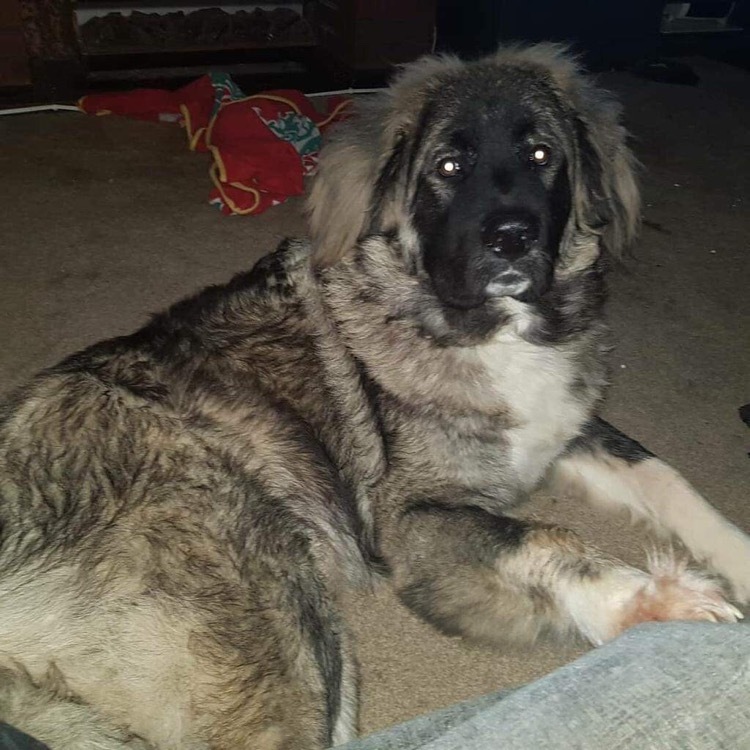 He is a 1 year old Caucasian Shepherd who needs a new home after the sad passing of his owner. Bear is good with dogs, cats and kids but will need on going socialisation to ensure he stays this way. He is used to being part of the family and has a very gentle nature. Bear is responsive and eager to please so isn’t looking for the standard Caucasian home where he may spend more of his time outside than in. This boy wants the best of both worlds, an active life with his family outside and cuddles on the sofa at night. As a young pup he needs someone who is home most of the time and due to his breed he is best suited to a large rural property as he will be a big lad once fully grown. These dogs need an experienced owner and if you are thinking of rehoming him please read the information available on our website.